3rd year students were taken to The Helix today to see the Second Age production of ‘Romeo and Juliet’. Second Age are an award winning company and we will be looking forward to reading the 3rd year reviews of the production here. 2nd years will be going this Tuesday and it is sure to be both an enjoyable and educational experience. 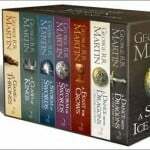 Many of our students are reading books from the ‘A Song of Ice and Fire’ series by George R.R. Martin and so we have decided to make the first book in the series the book of the month. 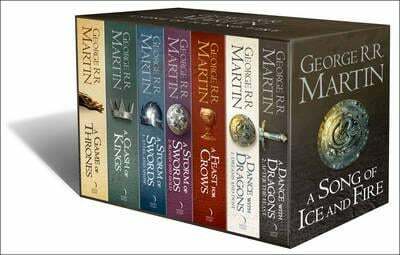 ‘A Game of Thrones’ is the first in the fantasy series and is followed by ‘A Clash of Kings’, ‘A Storm of Swords’, ‘A Feast for Crows’ and finally ‘A Dance with Dragons’. The author was born on the 20th of September 1948 in New Jersey and began writing at a very young age. He is considered to be the J.R.R. Tolkien of our time and his ‘A Song of Ice and Fire’ novels have been made into a television series by HBO. If any of our students have already read ‘A Game of Thrones’ then we would encourage them to read any of the books in this series. We look forward to your views on these novels during the course of this month.